Today I told a woman I was a reporter and she began to cry. I don’t know that that’s ever happened. She was in a tough position and had been part of a mistake that could have been a lot worse than it was. It had to be a hard reality to accept. I spoke with my father afterward and asked him if anyone ever started crying when they saw him in his cop uniform. He didn’t hesitate. Yes. Taxman, doctor, cop, reporter. These are the professionals who exact tears with their mere presence. Not me so much, but a slide show I made for a Memorial Day breakfast. A workmate forwarded this link to me. It appears to be another site to find links to news stories. Neither my workmate or I have spent a lot of time on it yet to cast judgment, but it looks kind of interesting. Tonight it looks left of center, but it didn’t the first time I looked. Also, check out this inspiring and sad story from the New York Times. Leonard Pitts Jr. on Michael Richards’ meltdown. Richards’ rant, according to the video of it online, lasted a good 2 ½ minutes. You might angrily snap that somebody is a ”fat so-and-so” without really meaning it. You don’t spend 2 ½ minutes calling them fat unless fat is exactly what you mean. 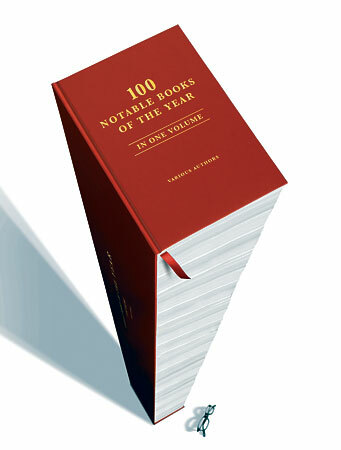 The New York Times came out with its 100 Notable Books of the Year and I give myself small credit for having read one of them. Today I finished State of Denial by Bob Woodward and will soon be reading The Worst Hard Time by Timothy Egan. Woodward’s book leaves me asking, as it has many people, “Where was this information when he wrote his first two books about the Bush Administration’s venture into Iraq?” I suppose if I were to come up with the answer, it’s that the questions are different. In Plan of Attack he was asking how we went into Iraq. In State of Denial he’s asking how this got so botched. Perhaps I’m being too kind to Woodward, but I can see how the different questions would create two vastly different books addressing essentially the same thing. A book I would have liked to see on the list was The Glass Castle by Jeanette Walls. It’s blessed with one of the best first sentences ever printed in a book. It’s a compelling story which leaves the author inexplicably more sympathetic to her parents than most readers would be. I read some of her interviews about the book and understood that sympathy more. Whether you read anything else about the book or not, it’s an amazing story. That the Walls kids ended up doing as well as they did says something about finding success in spite of those things that would tempt many to stay forever victims. A guy in West Fargo got busted for drunk driving three times in six days. During his streak he was in a hit-and-run, went the wrong way down a one-way street and parked on top of a cone. He got bailed out twice, but apparently couldn’t find the funds to get out after the third arrest. Makes you wonder when he was sober at all that week. So what was the thought process? He gets busted the first time and his friends take him out to celebrate his first DUI? After the second arrest he gets so depressed he can only think to drink to cheer himself up? Does this also heighten the rivalry between Fargo and West Fargo? Are people in Fargo just aching for the opportunity to rub West Fargo’s nose in this? Do people in Fargo tell West Fargo jokes? “So where does a guy in West Fargo go after getting bailed out of jail for a DUI offense? Last night on Letterman they had a reminder, “Tomorrow is Thanksgiving.” That explains all the vacuuming, shopping and food prep I did, which wasn’t near as much as Diana did, of course. So happy Thanksgiving and stuff. The surprise here is after the million days in a row of rain we’ve had, I look out the window and see occasional snowflakes. Perfect day to be grilling steaks, which I will be doing in just about two hours. We opted out of the ham or turkey and smartly decided to barbecue. We’re geniuses. I am in no way prepared to debate Rosie O’Donnell. I’m a little nervous about Katrina “refugees,” but I’m curious about the gumbo. The dog said I couldn’t. I’m afraid I’d use it to shoot out the television whenever the Mattress Ranch commercial comes on. Guns are bad for your posture. Buying a gun is one thing, but then you have to buy all the accessories, like a holster, a gun rack for the truck, a truck, hunting gear, bullets, etc. We don’t have a place to bury the bodies. They’re serious, as are some of the commenters who posted their remarks for the story. The city leaves an out if you have religious or “other” objections. What might be some “other” objections? Guns don’t go with my sweater. Regis Philbin doesn’t have one that I know of. I’m unfamiliar with “ordinances” that don’t require something. Resolutions don’t always, but I thought ordinances were by definition mandatory. I could be wrong. I could be experiencing long-distance bystander trauma from the hurricane. I want an ordinance requiring people to subscribe to my newspaper, or this blog, unless they have religious or other objections. Way to go dude from Arkansas! He’s suing Kobe because he says Kobe elbowed him on purpose when he was at a Lakers-Grizzlies game. I’ve been plotting revenge on Kobe ever since Newsweek picked his piece for a “My Turn” column instead of mine. You can read about the whole sordid incident here. In response I sent Mr. Big Shot, Glory Hog, Piece ‘O Crap a letter congratulating him and saying if he was going to defeat me in my profession, then he ought to let me try to defeat him in his. I challenged him to a one-on-one. Big chicken never even wrote back, so as far as I’m concerned, I won. I think I’ll make a trophy for myself.